I really hope for Imran Khan’s career that things turn around a little. We’ve always liked the guy, and have even spoken to him quite a few time snow but his last few movies really haven’t worked at the box office and attaching the faith of your comeback to anunreliable director like Nikhil Advani is a bit troublesome. But the ace in the sleeve is of course Kangana Ranaut, a lady who seems to do no wrong (or if she does, we as an audience just keep moving like nothing happened). Katti Batti seems to be a straight forward rom com and our friend @bollybrit pointed out that it does have some shades of 500 days of summer. Katti Batti is a modern day romance that traces young architect Madhav Kabra’s (Imran Khan) love for the free-spirited Payal (Kangana Ranaut). They make for a perfect couple until a sudden turn of events creates an unanswered distance between them. What follows is a series a events that tests the fate of their relationship. Katti Batti starring Imran Khan and Kangana Ranaut, directed by Nikhil Advani, the film releases on September 18. 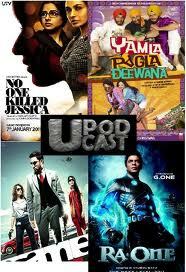 Lessons Learnt in Bollywood in 2010 and What’s in store for 2011!